While some are surprised by the new fee at the privately owned trail in northwest Austin, others welcome it. 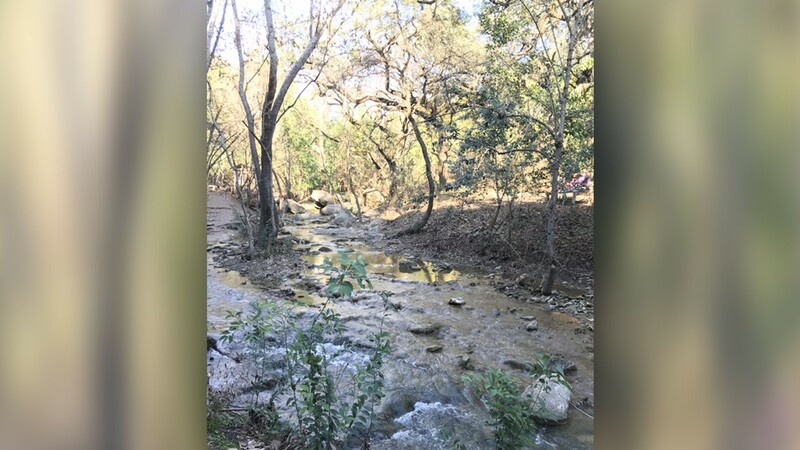 AUSTIN, Texas — A popular nature trail in northwest Austin that has started charging people to walk on it has added free hours. 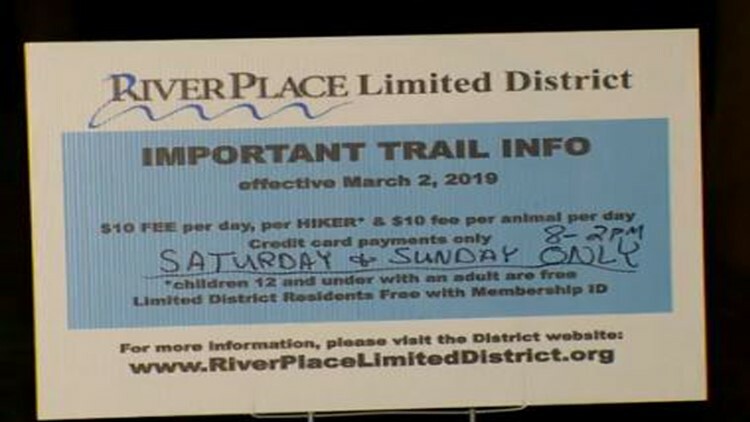 The privately-owned "River Place Nature Trail" right along the Colorado River now has signs posted along the trail stating that hikers will have to pay $10 per day to use it. While there are signs with the information located at the trailheads, some hikers told KVUE that they're disappointed. Non-residents at River Place Limited District will have to pay a fee to start hiking a trail there. “Once I heard about it, I was a little concerned, I guess ... the price for the pets – for the dogs – is a little steep," said Ryan Coursey, who we found hiking the trail. “I was pretty disappointed, honestly, I mean, I do understand that there needs to be maintenance kept up for the trail, but I think it’s important to keep it accessible to the public," said Kristina Alli, a fellow hiker. In a special meeting of the Board of Directors on March 11, the board agreed to add free hours to the trail, Monday through Friday from 10 a.m. to 2 p.m.
"The LD Board will continue to monitor the impact of the $10 fee and consider comments and suggestions that we receive. The purpose of the trail fee [is] to improve safety and provide the sustainability of the green spaces (parks and trails) in River Place. We will be posting free times to use the trail on our website, considering an annual fee and working with those organizations like the BoyScouts to allow free access." 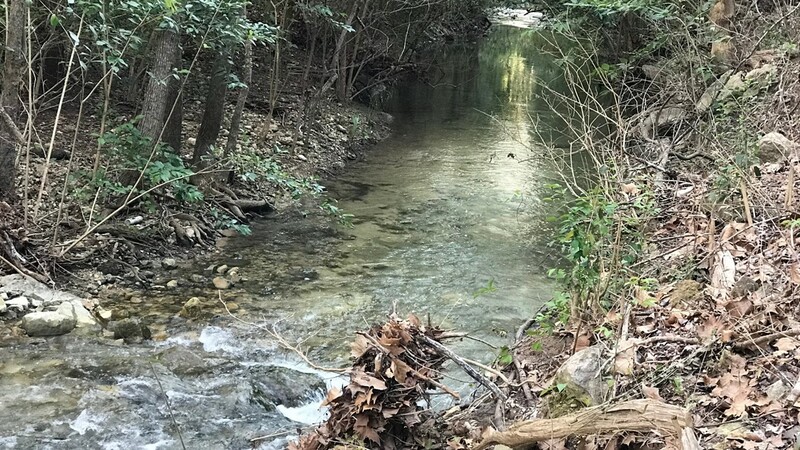 Residents of River Place’s Limited District do not have to pay a fee to hike the trail – which is about six miles from start to finish – as long as they have a membership card, Four Point News reported. The fee will apply to non-residents on the weekends to start, Four Point News said. The fee also applies to each pet that walks with a hiker. The dog fee stems from complaints the district has heard about a number of dogs on the trail that are off-leash, according to Four Points News. A look at River Place Trail in northwest Austin. The neighborhood's president told Four Points News the new fee is the result of trying to come up with a solution for the trail's heavy traffic. The president also told Four Points News the fees will pay for maintenance and will improve safety. That's something Kerry Dickerson, a homeowner near the trail, thinks is much needed. “There’ll be hundreds of cars parked on the side of the road and this is a neighborhood, you know ... people just fly through this neighborhood," said Dickerson. She's lived in the neighborhood next to the trail for more than 20 years and has seen the surge in popularity. She also said lot of the visitors break the rules of the trail. "People aren’t following the rules – they’re having their dogs off leash, they’re leaving trash on the trail and we’re paying for the upkeep, so I don’t think its unfair at all," said Dickerson. Residents who live there already pay for the trail as a part of their property tax and will not be required to pay the fee non-residents now have to pay. Contractors will be placed at each of the three trails – Little Fern, Canyon and Panther Hollow – to collect entrance fees that can only be paid by credit card.